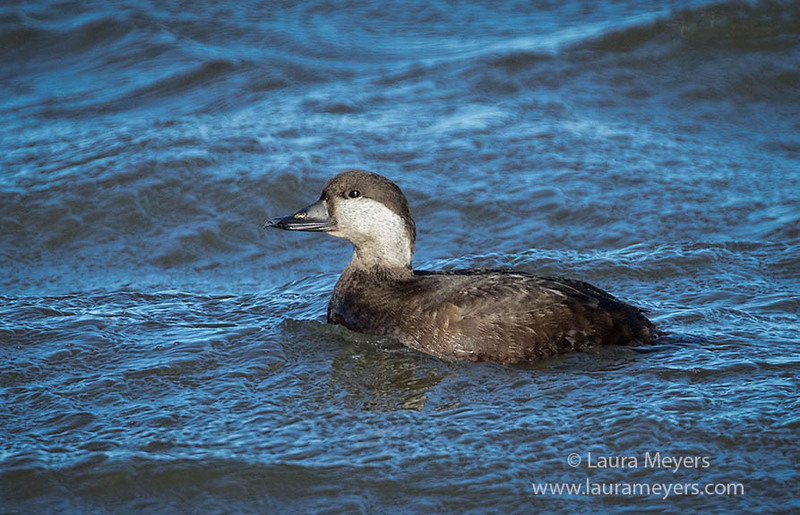 The picture of this Black Scoter Duck Female was photographed in the waters off the Barnegat Lighthouse Jetty in New Jersey on very cold windy day. This Black Scoter was photographed with the Canon 5D Mark IV and the Canon 100-400 II lens. Groups of Black Scoters often can be located by the constant mellow, plaintive whistling sound of the males. To hear the song of the Black Scoter, click on the arrow below.